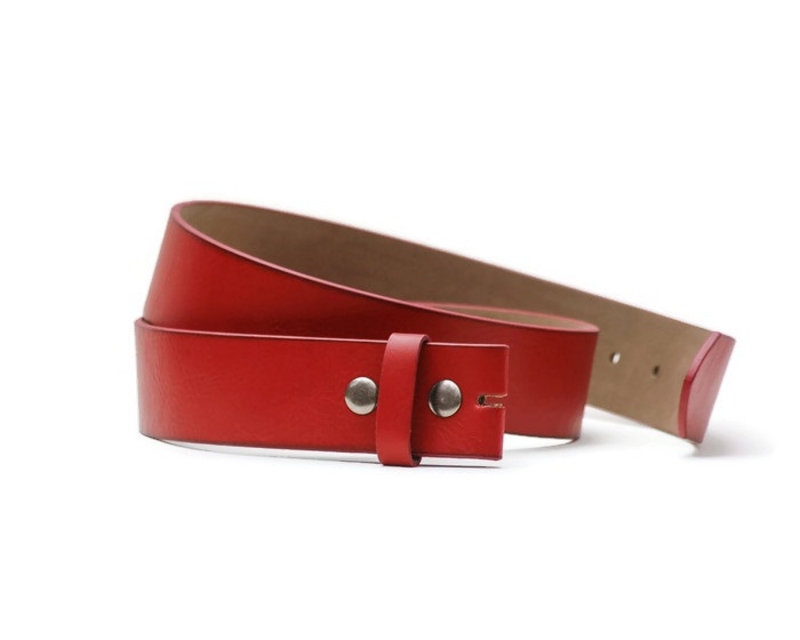 An inexpensive, good quality, imported, manufactured, medium weight, soft and thick red imitation leather snap-on belt that works well with my license plate belt buckles. 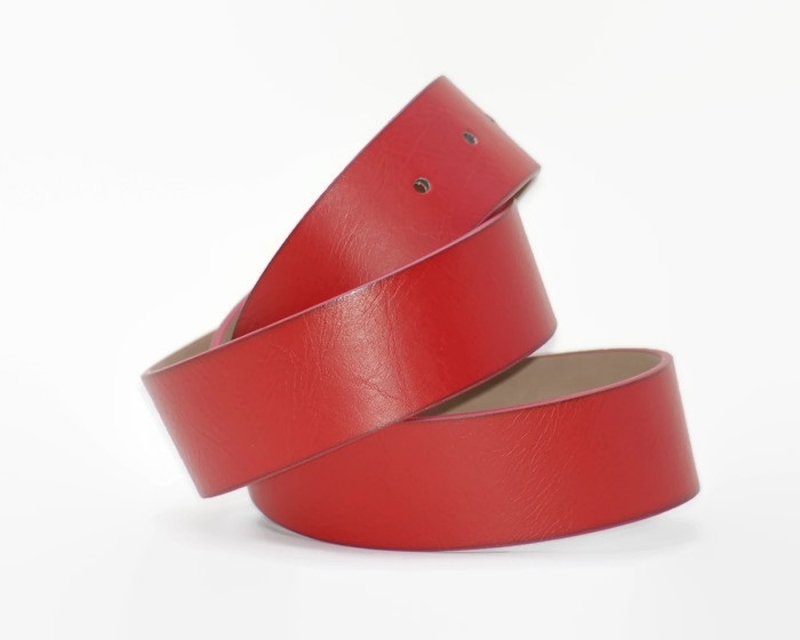 This belt is red with natural slightly textured grain. Silver snaps. 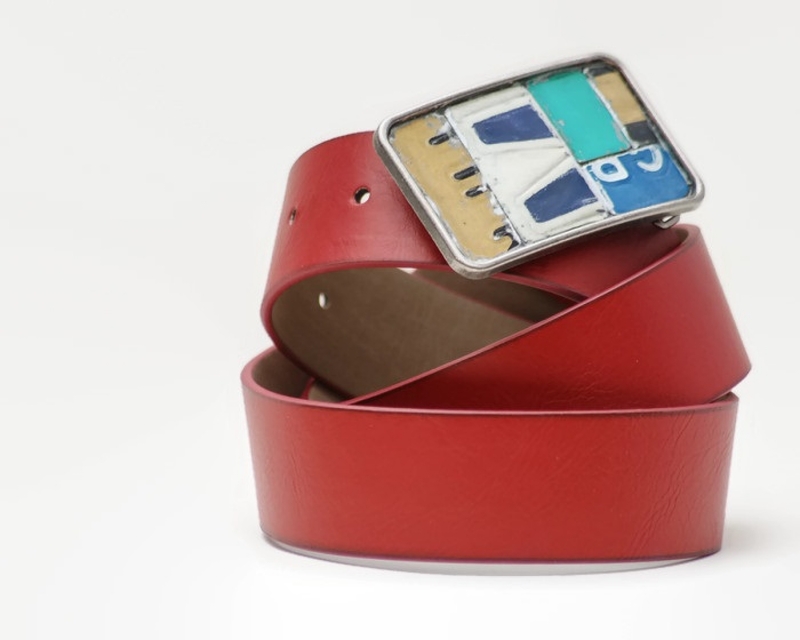 1.5" wide.